Starting at the turn of the century and into the 1960s, there was little change in men’s workwear styles. Materials, colors and fit changed, but the overall style of workwear for common occupations remained the same. Overalls, coveralls, uniforms, and workwear separates made up the bulk of men’s vintage work clothes. A sturdy pair of work boots and a hat finished the look. 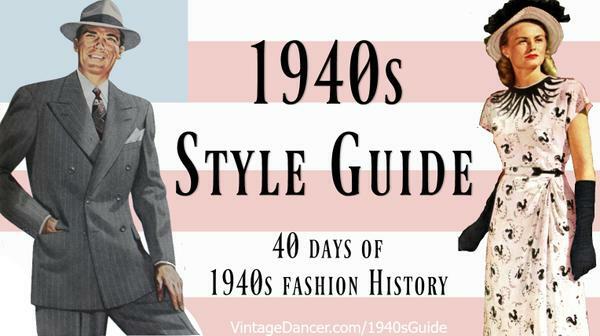 For men in the military, there were issued uniforms, many of which were still worn after the war ended and inspired a new range of men’s clothing favored by young men in the late 1940s and 1950s. Farmers, oilmen, miners, construction crew, and manufacturing workers may have chosen the classic denim overall to wear to work. Overalls were a one piece unit made of heavy denim cotton or duck cloth in blue, black, white, or blue and white thin stripes. Railroad men usually wore striped overalls and painters wore white. All other occupations preferred dark blue denim. The front bib had many pockets to hold small tools. Additional large pockets were on the back of the of overalls as well as side pockets. The fit of the overall was quite wide, square and baggy in the 1940s. The back of overalls brought the bib up the back in an upside down V, with straps extending over the shoulders and buckling to the front bib at mid chest. Overalls were worn over a heavy duty wool or cotton long sleeve work shirt. A matching button up light jacket shirt provided additional protection for the arms as well as more pockets. 1942 Coveralls with a wide leg fit, extra wide lapels, and two front and back pockets. An alternative to overalls were coveralls, also called wearalls or unionalls. These were preferred by mechanics, aviators, dairy men, and factory workers who needed to keep clean but not have straps, pockets and shirt cuffs that could get tangled in machinery. The coverall was a one piece pant and shirt combination that buttoned up the front (or zipped after the war). Blue or striped denim, grey, khaki tan, or white coveralls made of medium weight cotton twill provided a range of durability and hues. Two large chest pockets, side pockets, hammer loop, pliers pocket, and sometimes a wide self fabric belt completed the style. At the back, two bellow pleats from shoulder to waist provided extra freedom. Two large hip pockets held a pair of gloves while working. The 1930s and onward featured open or notch lapels that were very wide in the early years and narrow by the 1950s. The coverall could be worn over other clothing or just over underwear in hot climates. For service oriented jobs that were not too dirty or required a uniformed appearance — such as gas station attendant, repairmen, gardener, delivery driver, or shop keeper — a matching set of pants, shirt and jacket was ideal. These uniforms could have a name tag or company name embroidered onto the shirt and jacket. The colors were lighter than overalls and coveralls with army tan, brown, blue, grey, and green being the most common choices. “Army cloth” was used in the 1940s as well as cotton poplin in a herringbone pattern. The work shirt looked like a men’s dress shirt with two chest button pockets and a button up collar. The work pants were flat front with a creased leg. Belts were worn with workwear made of matching fabric and a military style metal clasp. The work jacket was a waist length button or zip up Eisenhower style jacket with two pockets on the front or side. The style is similar to a Harrington, bomber or golf jacket. They fit a little baggy on the torso with a snug overlapping waist band and slender arms. This was a style used by the military as well. As nice as coordinated sets look and were required by many professional jobs, the vast majority of labor workers mixed pants and shirts. Work shirt separates were made of heavy duty cotton twill, denim, covert (wool or cotton) or chambray. Blue was the standard color with khaki, army green, light grey, golden tan, navy blue, and sometimes black were alternatives. In winter, plaid was popular. Most work shirts had two chest pockets with a button down flap. 1947 mens medium weight work pants in cotton twill. Colors are more diverse. Men’s work pants could be denim blue jeans, a sturdy wool or cotton twill, or corduroy with a fit to match the decade. Common colors were dark blue, tan, stripped, army tan, or grey. Large side pockets and back slit or flap pockets finished the pant. Denim blue jeans had their own style and details. Read the history of blue jeans here. Physical jobs required heavy duty boots for most occupations. Work boots from the teens onward had an overall similar style. Thick rubber soles with moderate to large tread and a lace up body that extended over the ankle and up over the calf. Rubber boots existed for wet jobs, but leather was good enough for most work environments. It wasn’t just cow leather. Horsehide and even kangaroo leather were deemed more durable. Shades of brown and black were the only options. The shape of the toe box moved from round or square to narrow and pointed by the 1950s. It was rare for men in the 1940s to wear a hat unless it was part of an assigned uniform. Instead flat caps, also called ivy or newsboy caps, donned working men’s heads. Shop caps with a baseball cap brim (also similar to cadet caps) were another workwear favorite. A striped version became iconic with railroad men and later took the name engineer cap. More formal yacht caps called uniform caps came in white, blue or black for different uniform requirements. On the left is a cotton utility hat that was shaped like a snap brim fedora. They came in colors that matched the work clothes. These were more common in the late 1940s and 1950s. Another style is the safari pith helmet, ideal for outside work. For those of you reading this because you need a working class costume, here are some ideas on what to buy and where to find men’s vintage style workwear clothing. Work Shirts- still makes most of their work clothing in classic cuts (1950s-1960s style) with matching pant and jacket. Their work shirts are also excellent. Another brand I like is They also have not changed style since the 1950s. A blue denim or chambray shirt will look the most vintage. Denim Jeans – makes reproduction jeans from the 1890s to 1960s. Some of them have a very vintage workwear look that I love (but not the high price tag). has 1940s repro jeans. 1950s reproduction denim jeans are a little easier to find. They would work well for earlier decades as well. Shop here for all men’s style pants, overalls and jeans. Hats- Flat caps and newsboy caps are easy to find in shops today or online. You can find yacht caps and sometimes cadet caps online too. Shop all men’s style hats here. Boots– Most leather workwear boots are still in the classic vintage styles. and have some of the best choices. is an excellent blog that looks at examples of vintage workwear. It also links to other brands that re-create vintage workwear. Vintage Men’s Workwear – has more history and shopping links to 1900s-1950s workwear clothing. Scoll down to shop just the 40s styles. Men’s Vintage Workwear- 1900-1940s- striped overalls, wool flannel shirt, denim jacket, cap, gloves, and sturdy work boots. Since there were so many different variations of uniform and factions of the military, we’ll just touch on the basics here. The standard issue army uniform consisted of sturdy wool slacks and a wool button down shirt in ‘olive drab’. They were cut in a similar fashion to regular clothing. The shirt had two large patch pockets on the chest that buttoned at the top, and it was worn tucked in with a thick leather utility belt. The slacks were tucked into mid-calf leather lace-up boots. An olive wool garrison cap or metal helmet completed the uniform. Air force officers wore a similar uniform to army officers, in the same color and shape. However, they wore a thin olive tie with their shirts and did not tuck their pants into their boots. Their uniforms were topped off with an aviator cap and a brown leather flight jacket.